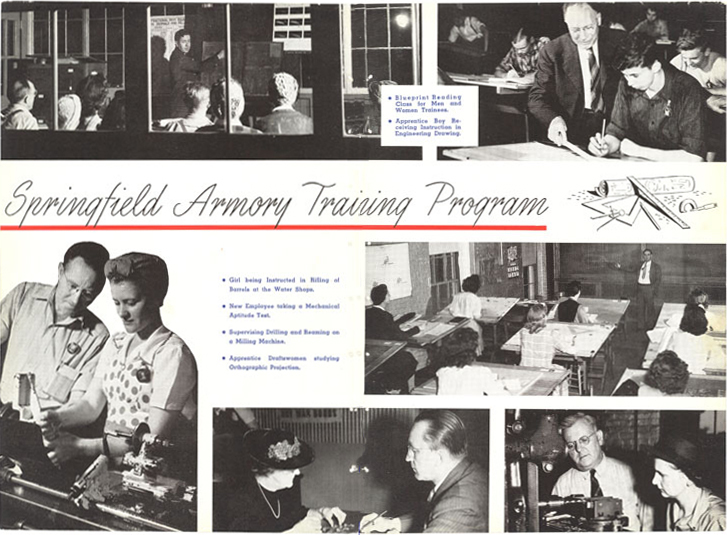 The new training process required cooperation between three levels: at the national level from where the funds came; the state level at which the Department of Education controlled vocational schools; and local levels at which individual industries collaborated with neighborhood or nearby vocational schools to design training programs and provide machinery and equipment on which workers learned.7The Armory linked its new employees to the training facilities at which women took courses for no expenses since employers assumed no one had any prior experience in operating machinery. Because the Armory assigned workers to vocational training at the Technical Trade School and paid for courses, the successful completion of the course and turnover-rate reached so high a ratio as 86%. This meant that from 1941 to 1944, women workers tended to stay at the same job with the Armory. Of those interviewed by a Massachusetts Education Board study of vocational schools for the whole state, 82% responded that their present employment utilized their training.8 This suggests that the Armory, and other crucial wartime production plants, invested time in helping to design training courses and assigning new employees to the best courses to maximize efficiency and keep them employed. By the end of 1941, women entered the war work force and short training programs that prepared them to work in the most-needy industries. 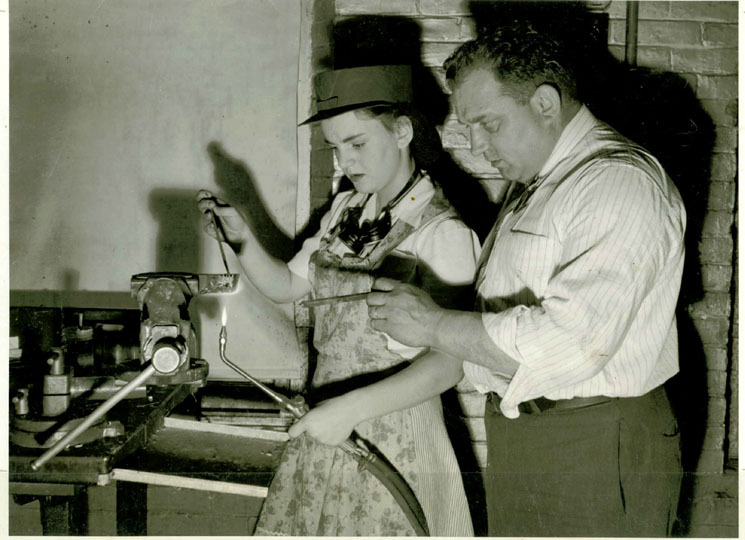 In extreme shortage cases, plants hired women on the spot, sometimes upon successful completion of a five week training program at vocational schools where they could take night classes or get on-the-job training right in the plant. 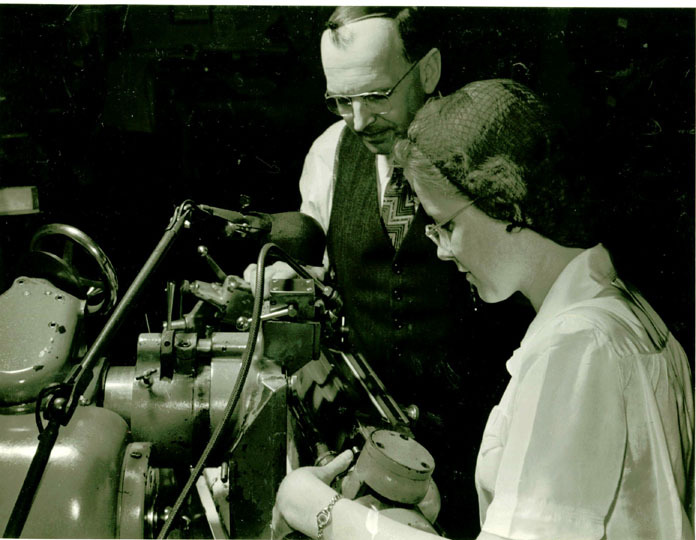 The Armory dictated to the vocational school system its needs and the vocational schools responded by developing highly successful training programs to supply the war industries with a skilled and predominantly female workforce. Women stayed at their jobs because both their occupations and training were in close proximity in the Springfield community. 7 Special to The New York Times. “Program Outlines for Defense Labor.” The New York Times, June 24, 1940.